Pakistan’s stunning collapse in the recent Test against New Zealand at Abu Dhabi, where they lost the Test by 4 runs after being well within sight of victory, will be talked about for years. It was one of the closest results in Tests in recent times and has made cricket fans look back at similar results in the past. Throughout Test history, there have been quite a few matches which have gone right down to the wire and have ended with incredibly thin and unexpected margins. 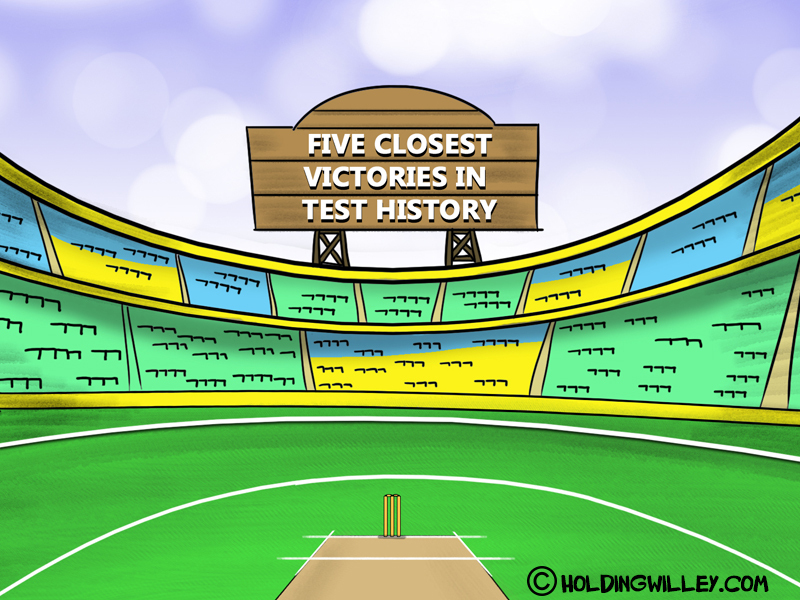 Here is a look at the five closest Test wins in history, in terms of runs. Before the 4th Test of the 5-match series, part of West Indies’ tour of Australia, began at Adelaide, the home team was 1-0 up and was eager to take an unassailable lead. After electing to bat first on a sporting track, Richie Richardson’s West Indies could post just 252 with Brian Lara’s 52 as the highest score. Curtly Ambrose spit fire and his 6/74 restricted Australia to only 213 in reply. Australia hit back and forced the West Indies out for 146 in the 2nd innings, led by off-spinner Tim May’s incredible 6/9. The home side thus needed only 186 to win and Alan Border and his men would have felt confident of clinching the game. However, the West Indies bowlers combined to put up a terrific performance and stopped Australia just one run short of the target. This remains the smallest margin of victory in Test cricket in terms of runs. This game is widely considered one of the most thrilling and unforgettable Test matches of the modern era. In the lead up to the 2nd Ashes Test of 2005 at Birmingham, Steve Waugh’s Australia led the series 1-0. England, led by Michael Vaughn, were ahead after posting 407 in the 1st innings and bowling Australia out for 308 in their reply. Shane Warne’s 6/46 restricted England to just 182 in the second innings, giving Australia a target of 282 to win the match. England’s bowlers, led by Andrew Flintoff (4/79), put up a spirited show and had Australia tottering at 175/8 and 220/9 at one point. But then, tail-enders Shane Warne (42), Brett Lee (43*) and Michael Kasprowicz (20) dug in and took Australia to within 3 runs of victory before a scorching bouncer by Steve Harmison had Kasprowicz caught behind and gave England victory by only 2 runs. The match ended with sensational and emotional scenes that would be remembered forever. The 4th Ashes Test of 1902 in Manchester had begun with an entertaining hundred by Australian opener Victor Trumper, who smashed a delightful 104 in 115 minutes and took his team to 299 in the first innings. England, fought back incredibly well courtesy of a superb 128 by Stanley Jackson in reply and a terrific spell of 5/28 by Bill Lockwood that shot Australia out for just 86 in the second innings. Needing only 124 runs to win the Test, England were cruising, at one stage at 68/1, and looked set to make the 5-match series 1-1. But Australia’s Hugh Trumble (6/53) and Jack Saunders (4/52) combined for a brilliant spell of spin and seam bowling that sparked a stunning collapse of the home team where they slipped to 120 all out and lost the Test by just 3 runs. Leading the series 2-0, Greg Chappell’s Australia were confident going into the 4th Ashes Test of 1982 in Melbourne. Not much separated the two sides after England, led by Bob Willis, had managed 284 in the 1st innings and Australia’s reply had been restricted to 287. On a sporting and bouncy track, England, thanks to a fine 65 by opener Graeme Fowler and vital contributions from the lower middle-order, posted 294 and set Australia a target of 292 for victory. Australia were well on its way to make the series 3-0, comfortably on track at 171/3 at one stage. But with the departure of Kim Hughes (48) and David Hookes (68), Australia stumbled and fast bowler Norman Cowans’ splendid spell of 6/77 kept denting them. And while Alan Border (62*) played a solid hand, the others couldn’t support him and the home team was eventually bowled out for 280. England thus won this memorable and hard fought game by just 3 runs. Pakistan cricket’s history is replete with instances of how they have abruptly imploded and lost games from winning positions. At Abu Dhabi, in the first Test of the 3-match series between Pakistan, led by Sarfraz Ahmed, and New Zealand, captained by Kane Williamson, Pakistan yet again gave a glimpse of their unstable ways. Chasing a modest target of 176 for victory against the visitors, Pakistan were cruising along nicely at 130/3. 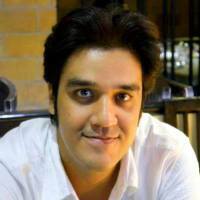 However, after debutant left-arm spinner Ajaz Patel removed Asad Shafiq for 45, the floodgates suddenly opened. Bowling tight lines and varying the ball subtly, Patel’s outstanding spell soon had Pakistan reeling at 171/9. With Pakistan needing 5 runs for victory and one wicket left, Patel trapped Pakistan’s last recognized batsman, Azhar Ali, in front for 65 and clinched a remarkable victory for New Zealand by 4 runs. Patel ended with 5/59 and Pakistan were left shell shocked, having to lick their wounds after this spectacular collapse.